Earlier in the year we arrangered for a mobile petting zoo to visit Ferriers Barn, a day centre for people with disabilities. 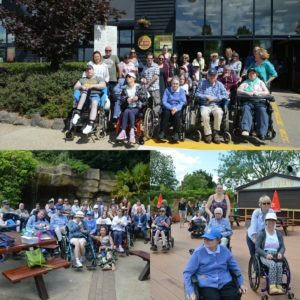 As the UK has been experiencing exceptionally good summer weather the DRF recently paid for the members to have a day out at Colchester Zoo. What a lovely experience.